Hello friends!!! Happy Friday! Another week in the books, so hard to believe! It was a short week for me as the kids have off from school today. We are planning on heading to the Cleveland Zoo tonight for "Boo at the Zoo" to meet up with their cousins so to say they are thrilled is an understatement. I absolutely love being a Mom in the Fall! So much to see and do with the kiddos. In typical Friday fashion, I am linking up today with Erika to highlight a few of the fun things I am loving on this week. Our neighborhood has a long standing tradition to "Boo" each other each year. The kids were so excited to receive our "Boo" this week. They truly look forward to it each year and will scream when the doorbell rings at night in October because they know what will be waiting for them behind our front door. Thank you neighbors for the adorable "Boo" basket this year! I love decorating our porch for Fall and decided to go with Burgundy Mums this year. I absolutely love how it turned out. I am officially on the hunt now for a Welcome sign which I have seen floating around the Internet. How cute would that be with the Mums? And my Fall porch would not be complete without supporting my beloved baseball team. 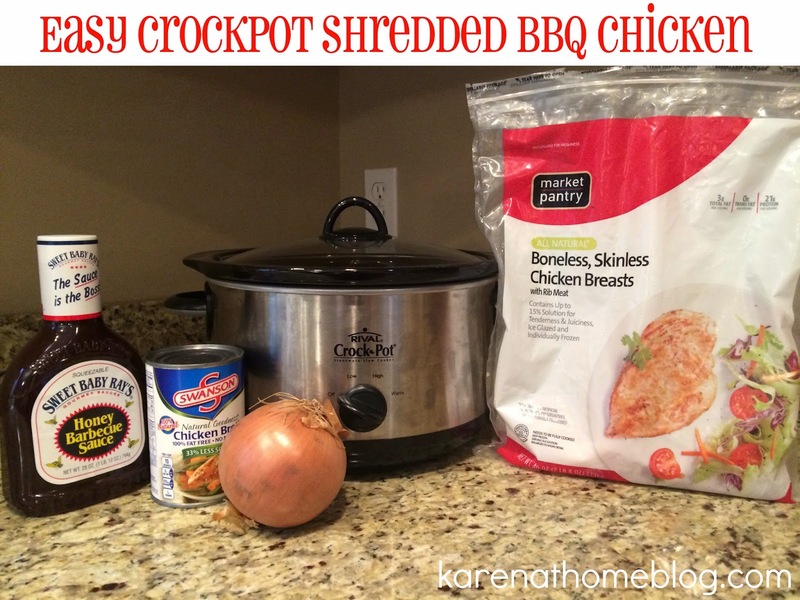 I busted out the crock pot this past week and made my famous BBQ Shredded Chicken. I absolutely love the versitality of this dish. I love it over rice and broccolli while Jeff loves to eat it in a bun with a slice of provolone cheese. I make a huge batch so we can eat it for days. I have even served it over a bed of lettuce before with some tomatoes and purple onions. Yum!! !